Are these recent moves by Amazon a sign of future growth or the beginning of the end? Oh Amazon, you won’t hit that one trillion dollar mark if you keep buying up all of these companies. Then again, maybe you will, you’re the enterprise putting the old big box retailers out of business so who are we to tell you to throttle it back when you’re having one of your most financially successful years ever? As some of you may know, last week was a big one for anyone who believed in Amazon or just anyone who didn’t work the packing floor of a warehouse, as the information went public that it wished to acquire Slack before outright buying Whole Foods. So we thought we’d take a look at these recent developments, take them apart and see the what and why of how this all shook down. If you think about this long enough, there isn’t much mystery to it. Sure it’s a major buy for Amazon, $13.7 billion for a grocery chain, but even rudimentary business goons like us can see the why of it. 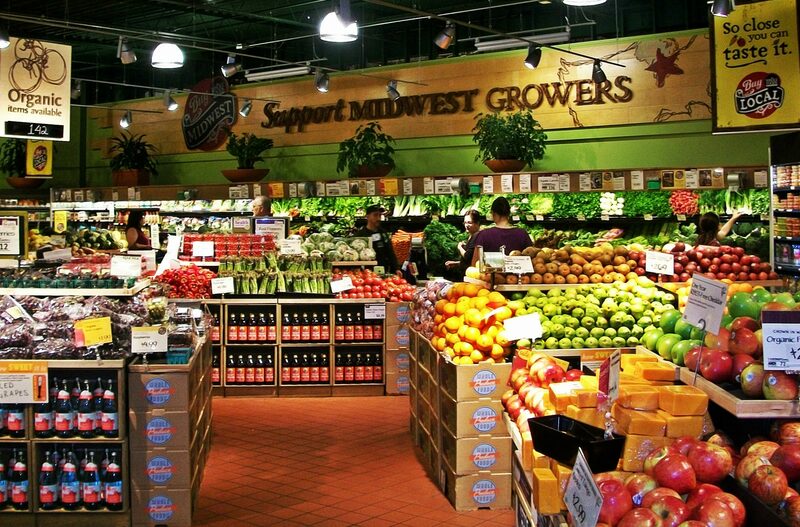 Whole Foods is a recognized brand with a modern feel. Sure, you don’t shop there, because you aren’t made of money, but you know the name, and sometimes a name is enough to make it big. On top of that, people are still debating about whether or not Amazon Fresh was any success. So why wouldn’t Amazon buy a recognized brand if they really wanted to get into the grocery game? There’s some speculation as to what this acquisition means in the long term. For now, Amazon intends to keep Whole Foods relatively intact by keeping CEO John Mackey in his role and retaining the Whole Foods name. Some speculated (before the acquisition) that were such a thing to happen it was likely that Whole Foods retail locations would serve Amazon best if they were turned into warehouses. This one is confusing out of the gate. This same week there were reports about Slack Technologies Inc. being acquired by various tech companies, among them being Amazon with some sources listing a potential purchase at $9 billion. None of this is firm, however, and some reports show potential (and currently unnamed) buyers walking away from the deal if Slack doesn’t engage one at this point. As it is, Microsoft already backed away from buying Slack last year, but they too walked away before any serious negotiations began. As to the why? Such an acquisition would mean two things: One Amazon wants to improve its cloud offerings (which matches its drive to put Alexa in as many vehicles as possible) and two, it wants to move into the office space and since Slack is one of the few competitive messaging services out there that isn’t Facebook. This move would put them in direct competition with similar services offered by Microsoft and Google. We talked previously about the dangers of hitting such a major landmark as a company when we covered the trillion dollar issue. One of the points we reached was the idea that with such a boom there must inevitably become a bust. The question is, will these acquisitions be enough to sustain Amazon in spite of that potential downfall? Or, will these moves allow Amazon to expand as a brand? Maybe Amazon just wants a better way to communicate internally? Maybe, and that is something that Slack can help with, but I am thinking that Amazon sees a much bigger picture here. What the hell would Amazon want with Slack? I love Whole Foods. Now, if I could place an Amazon order and have it delivered to my local Whole Foods store in 2 days to pick up with I am there to buy groceries, that would be awesome! I finally noticed a shift in what Amazon was doing with Whole Foods when they offered specials to customers that were shopping there last month. I really wonder what Amazon is up to and since we know they are not in the business of buying/selling, this could be an interesting story to keep an eye on. I think this shows a weird shift in the technology buy up era that we are in. Amazon just sat around for years without buying many companies and then all of a sudden? You just never know what is next. I also feel the same way about the shift for Amazon, but like the article said, the company has been trying to get into the grocery business for a little while now. Anything that deals with the “cloud” are pretty big right now. If Slack is on the list for Amazon, I wonder about some of the other companies that deal with cloud systems. 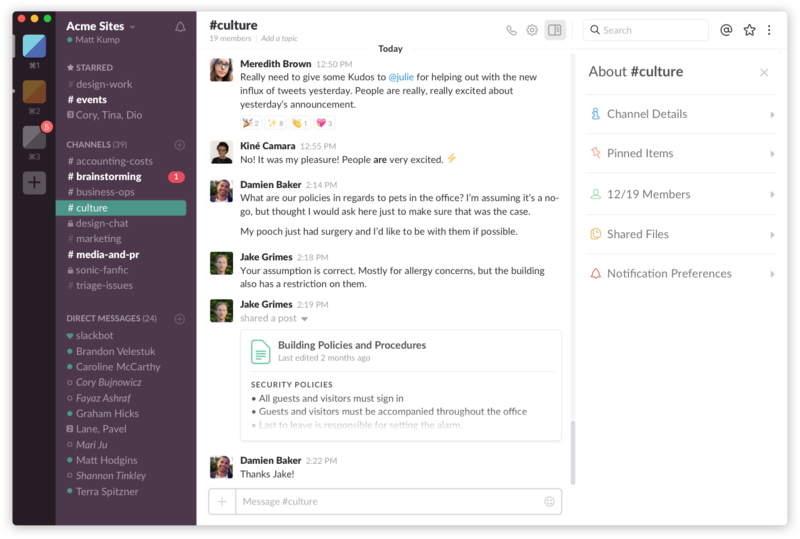 What is Amazon going to do with Slack? There have been a lot of articles talking about this possible acquisition over the last few months. I wonder the same thing. Grocery is a big deal and those that didn’t think so, forgot about why Amazon buys companies. This should shake things up a little bit in the food world. Just like anyone else that is reading this, I am wondering where Amazon goes next? Amazon Fresh did not work out when the food coming from Amazon, but why if a delivery service from Whole Foods is the option here? Mejiers is partnering up with companies to deliver groceries, is this what Amazon is thinking? Whoever it is, I am sure they are standing in a long line. Amazon has money and for some reason, the company feels the need to spend it. I know the system they have is very efficient, but buying up more properties just fragments the business and cause issues down the line. I am guessing the acquisition of Slack was just because of the growth? The grocery purchase is something that we could all see coming. Amazon wanted to have their own stores without employees allowing customers to come and go as they pleased without having to pay for anything right at the store. now they have tons of actual stores they can play around with. Getting too big for you own good has been a bad thing for many companies. Amazon, however, does not seem to be affected by that and we’ll see now that they are getting into brick and mortar. I think they will be a game changer in the grocery market. Maybe now we can see some changes in the way that groceries are delivered in bigger cities, right? Yes, that should be the way it is.